For SSC(T)-50 Men & SSC(T)-21 Women - Candidates who have passed Engineering Degree course or are in the final year of Engineering course are eligible to apply. The candidates studying in the final year examination of Degree Course should be able to produce the Engineering Degree within 12 weeks from the date of commencement of training at OTA. Such candidates will be inducted on Additional Bond Basis for recovery of the cost of training at OTA as notified from time to time as well as stipend and pay & allowances paid, in case they fail to produce the requisite Degree Certificate within the specified time. For SSCW (Non Tech-21) - Graduation Degree in any discipline. (a) SSC(T)-50 Men and SSC(T)-21 Women - 20 to 27 years as on 01 Apr 2018 (Candidates born between 02 Apr 91 and 01 Apr 98) (both dates inclusive). (b) SSCW(Non Tech) - 19 to 29 years as on 01 Jan 2018 (including four years relaxation), born between 02 Jan 89 and 01 Jan 99) (both dates Inclusive). (c) For SSCW(Tech) -> 20-31 years as on 01 Apr 2018 (including four years relaxation) both between 02 Apr 87 and 01 Apr 98 (both dates inclusive). (a) Short listing of Applications: Integrated HQ of MoD(Army) reserves the right to shortlist applications and to fix cutoff percentage of marks for each engineering discipline without assigning any reason. (b) Only shortlisted eligible candidates depending on the cutoff percentage will be interviewed at Selection Centres, Allahabad (UP), Bhopal (MP), Bangalore (Karnataka) and Kapurthala (Punjab) by Psychologist, Group Testing Officer and Interviewing Officer. Call Up letter for SSB interview will be issued only through candidate's registered e-mail id and through SMS. Candidates will not be interviewed locally. Allotment of Selection Centre is at the discretion of Dte Gen of Rtg, IHQ MoD (Army) and NO request for changes are entertained in this regard. 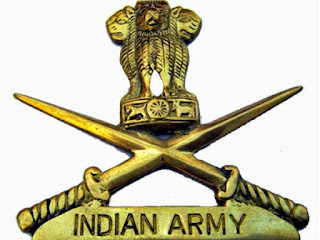 (c) Shortlisted candidates will have to log in on Join Indian Army website using their username and password and select the SSB dates as available on the website. (d) Interviews will be held from Apr/May 2017 onwards. (e) Candidates will put through two stage selection procedure. Those who clear Stage I will go to Stage II. Those who fail in Stage I will be returned on the same day. Duration of SSB interviews is five days excluding day of arrival and details of the same are available at official website.